“I’m going to fire X”. My first gut reaction still is “Here we go, buckle up Jamie.” And then I remember I have to think of myself as the doctor. The patient is telling me, they have a problem and they want to get rid of it. In this case, we aren’t talking about a rash though my friends, we’re talking about a human being. Sometimes I think about the work that God chose for me and I wonder to myself, wow. He trusted me enough to put me on a path where I can impact people’s working lives AND personal lives at the very same time. When people tell me HR is hiring and firing, I feel my blood pressure raise slightly, smile and say, “Well, it’s a little bit more than that”. I like to think of it as Psychology, Law and Marketing’s poorer, younger cousin. When it’s done right – it’s magical. When it’s not, it’s downright destructive and a little fire can turn into a whole city going down in flames. It’s too easy to think you can find someone to replace them. Ask me about hiring managers who have had jobs open for over a year. I dare you! Here are some general considerations for those aspiring leaders around “involuntary termination” (such an ugly word – I am sorry!). Please note this does not include gross misconduct and situations always vary. What is your “job” Leader? And are you interested in engaging and inspiring – and is it a long term commitment? If not, why not? Who are you as a human being first, before a leader? Do you even enjoy being a leader? It’s not for everyone, and that’s OK! What type of Leader are you dear Leader? Do you lead by example when you look at your own values, do you live and breathe them? Yes – I’m looking at you and your detailed plans with your own Leader, are they up to scratch when it comes to the “how” around meeting those goals? What example have you set? Have you taken into consideration and examined your own behaviors and whether or not this human being would terminate you, if they had the chance? I got one word for you – ego. Do you feed on power, affiliation or achievement? (check out McClelland’s theory if you dare). Check yourself, your emotions, and the thoughts you are having – separate them from the circumstances and think again. Emotional intelligence and the limbic system are your new homework. Have you dedicated your time and attention with no distractions whatsoever to this person to potentially change this person’s entire life course? Did you actively listen? How frequently and did you act on their concerns or instill hope? Did you use all available options to you? The internet is your friend – how often have you offered a video conference if you can’t be there face to face? Could you look the family of the person in the eyes with a smile on your face and explain why you chose to terminate if you were asked? Did the person know it was coming and was it an easier conversation because it was progressive and for mutual benefit? Yes, I am dead serious. Are you happy with who you are when you reflect on your decision? Have you come up with a detailed written plan to assist in rectifying and/or coaching on those behaviors or performance issues and pushed away this concept that it is their “job”? Do you understand how adults learn and the four stages of competence? Have you documented the discussions and plans you have had to date – what risk you pose if you act? Have you considered the impacts of the termination on your team and the example you are setting? Can you replace this person’s intellectual capital and how long may it take, what will it mean for your organizational goals? Have you rewarded or recognized this human being for their contributions? Do they feel accepted and appreciated by you? What do you think? 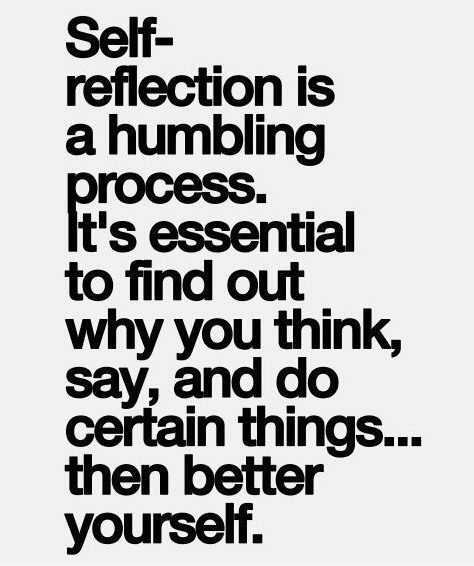 Share your stories and journey on self – reflection below!